Need better ride for date night? Or want to head to an important meeting in style? SOCAR is now running a new promo where you can unlock the Volkswagen Passat 1.8 TSI from as little as RM5.70 per hour. 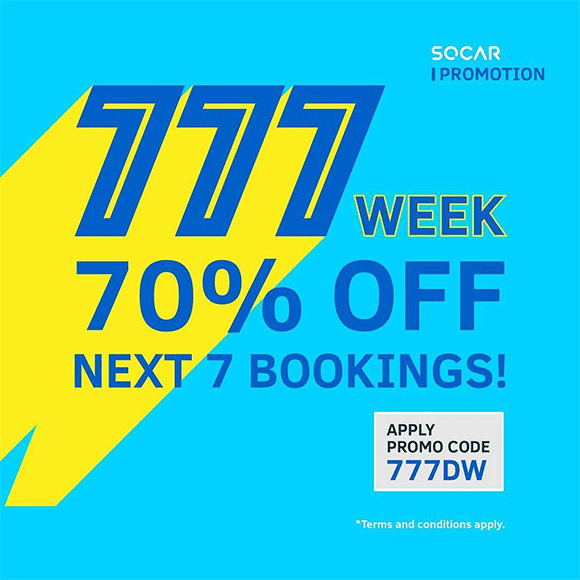 From 15 to 21 October, SOCAR Malaysia is offering 70% off for your next 7 bookings. Just apply the promo code 777DW to enjoy the discount (capped at RM177.70). You can use this promo on all vehicles except for the Mini and BMW. If you’re new to SOCAR, it’s a car sharing service where it works like a car rental on demand. 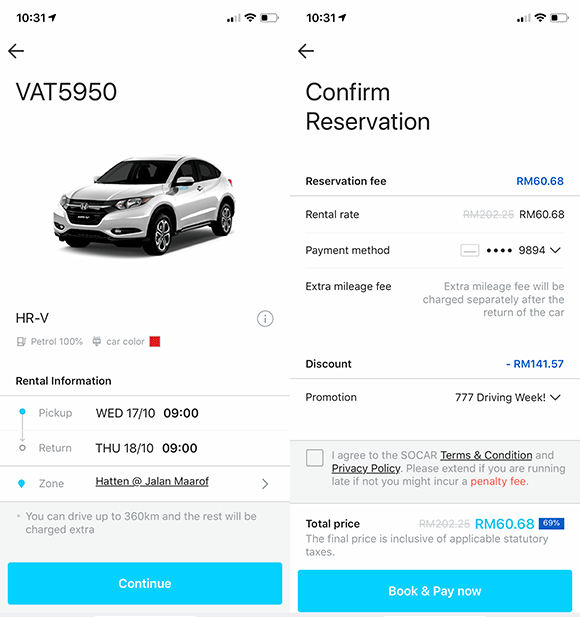 The whole experience is key-less so everything from the booking to unlocking the car is entirely managed from the SOCAR app on your smartphone. Unlike a typical car rental service, petrol is included and you can refuel using the provided petrol card that’s placed in the sunvisor. Just make sure that the petrol tank is at least 50% full before retuning the car. You can learn more in our announcement post. 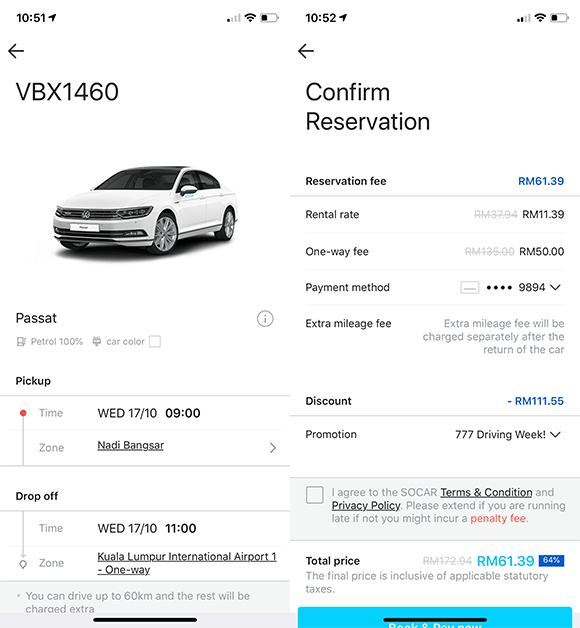 The VW Passat usually costs RM18.97/hour on a weekday but with this promo, you can book it from RM5.70/hour with 30KM of petrol included. 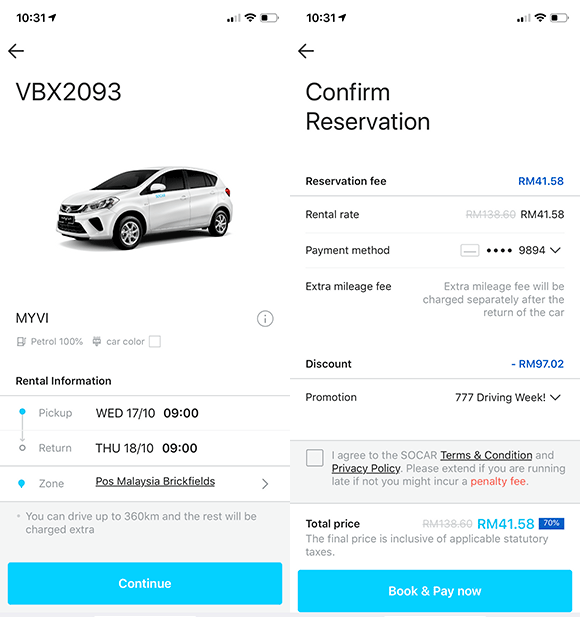 Or you can booking it for a full day (24 hours) for only RM68.31 with 360KM of petrol included. Take note that the booking rates are slightly more expensive during the weekends (Sat and Sunday). SOCAR typically allocates 30KM mileage per hour and 360KM mileage per day. If you exceed the provided mileage, there will be additional charge of RM0.25 per KM. In case you’re wondering, you can also apply this promo for one-way trips to the airport. The one-way trip feature is only applicable for SOCAR locations that carry the one-way booking label. 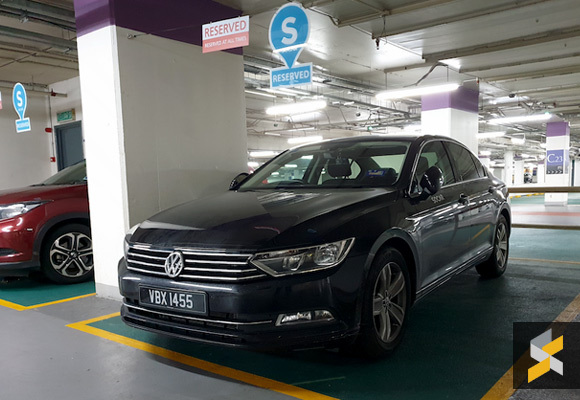 On a weekday, the VW Passat with a 2 hour booking to the airport will cost you RM61.39. This could be worth considering if you’re heading to the airport while picking up some of your mates along the way. Apart from the Klang Valley, SOCAR has just expanded to Johor Bahru. 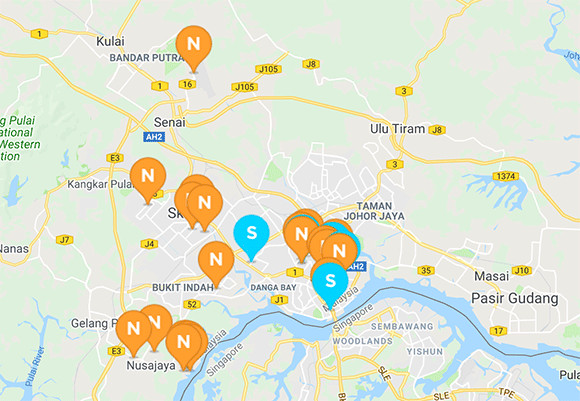 Some of their locations include Caltex JB Sentral, Pelangi Leisure Mall, KSL City Mall, Holiday Plaza, Plaza Larkin, Angsana Mall, Caltex Taman Perling, Sutera Mall, Caltex Taman Universiti, Mall of Medini (Legoland), Puteri Harbour International Ferry Terminal and Senai Centre Point (Senai Airport). If you haven’t tried SOCAR yet, you can download the app which is available for both iOS and Android.